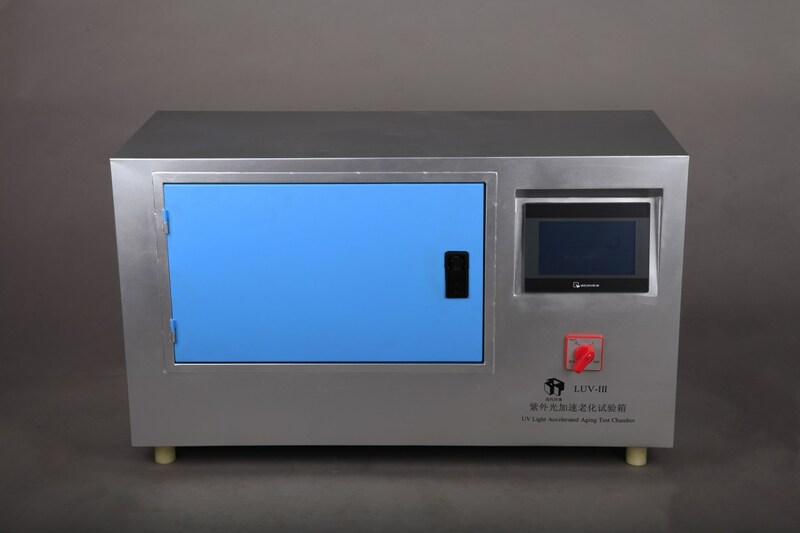 LUV Ultraviolet Light Accelerated Weathering Tester users ultraviolet light to reproduce the damaging wavelengths of light encountered in a multitude of environments. 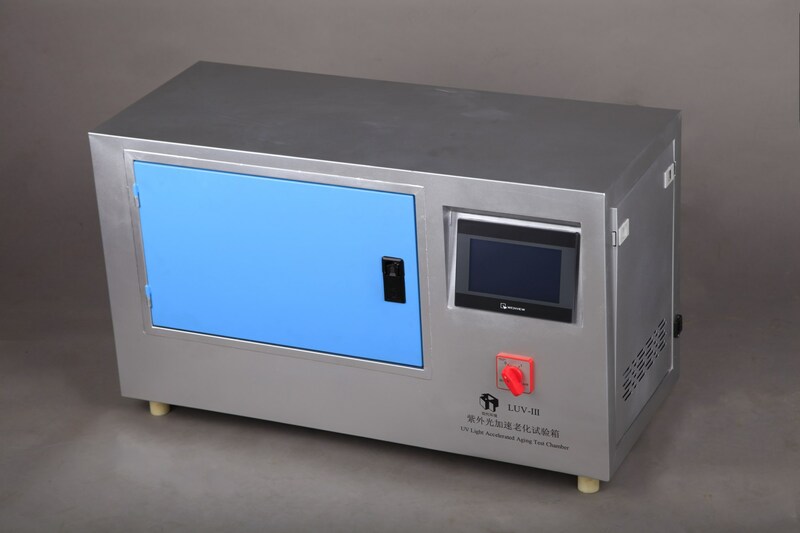 LUV-III Ultraviolet Light Accelerated Weathering Tester users ultraviolet light to reproduce the damaging wavelengths of light encountered in a multitude of environments. Products and materials exposed to direct light-water. Damage includes fading, yellowing, color change, strength loss, embrittlement, oxidation, gloss loss, cracking. 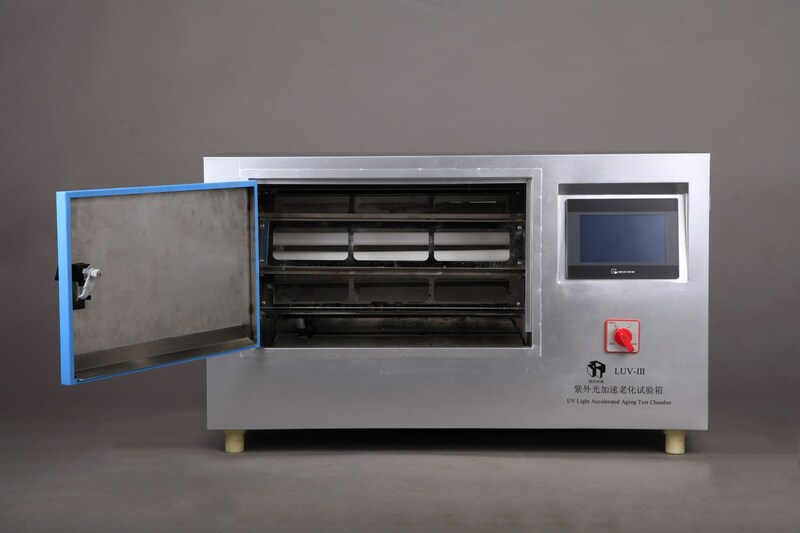 This unit can be operated as a weathering test with the water spray to simulate the effect of moisture on nonmetallic materials, such as coatings exposed outdoors. As the ultraviolet of sunlight is the main factor of photo degradation, and water is also an important damaging factor, this unit features fast and simple to expose and degrade. 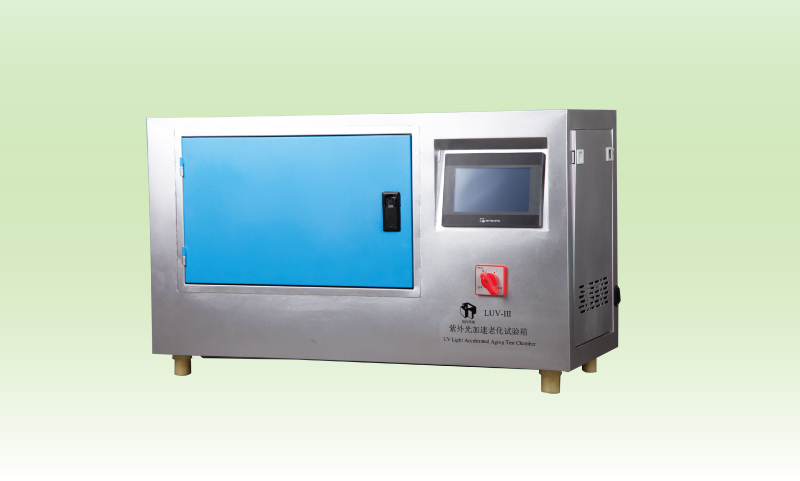 It has service value for testing different test specimen’s relative resistance to atmosphere. 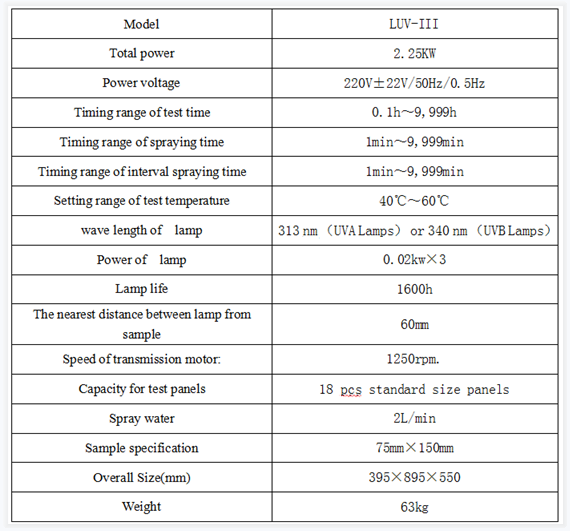 Like other Accelerated Weathering Tester, test result used by this machine should not replace exposing direct sunlight. When your product is exposed outdoors to direct sunlight, it experiences the maximum possible light intensity for only a few hours each day. The LUV is used for the selection of new materials, the improvement of existing materials or the evaluation of how changes in formulations affect product durability. In addition to photo degradation testing, the LUV can also be operated as a weathering tester with the addition of water spray to simulate the effect of moisture on materials exposed outdoors. This unit adopts rotating rack design, it can well compensate unhomogeneous irradiation defects caused by lamp ageing and disparity in different bath number, also it saves heavy working capacity caused by removing holder in periodic order. Because water is an important destructive factor for accelerated ageing. This unit adopts water spray method simulating the effect of moisture on materials exposed outdoors. This significantly expands the range of environmental conditions you can simulate in the LUV. With the push of a button, the operator can run the programmed cycle or quickly create a new exposed within suitable spraying cycle by setting spraying time, it can close certain ultimate using environment condition, such as mechanical damage caused by a violent change in temperature or rainwater wash out. 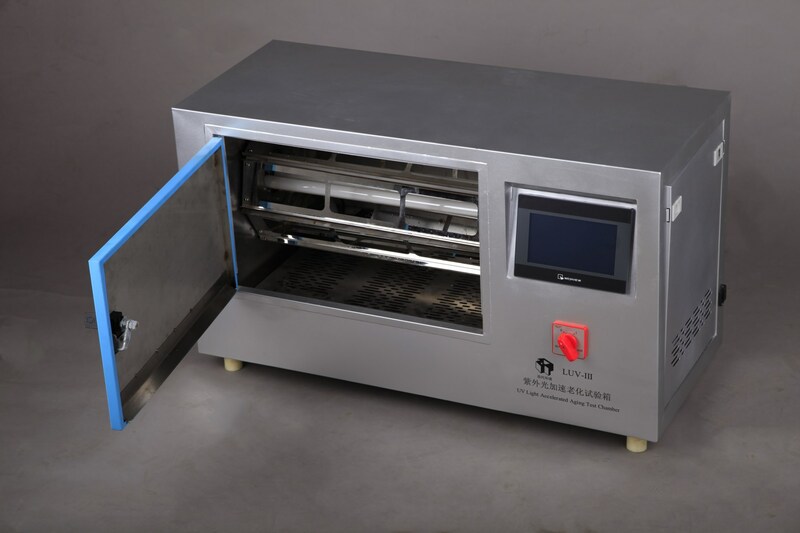 In order to satisfy stable and durable using requirement of Accelerated Weathering Tester. The structure of unit generally adopts corrosion resistant stainless steel material, featuring compact structure, easy to use and maintenance. It only pay relative cheaper using cost. The accelerated weathering tester allows accelerated testing because it can be programmed to expose your products to the equivalent of noon summer sunlight for 24 hours a day, every day. Consequently, the test result can be greatly accelerated so as to judge quality gap between test product and contrast panel.